Black glitter sparkly cowboy hat with striped tie. 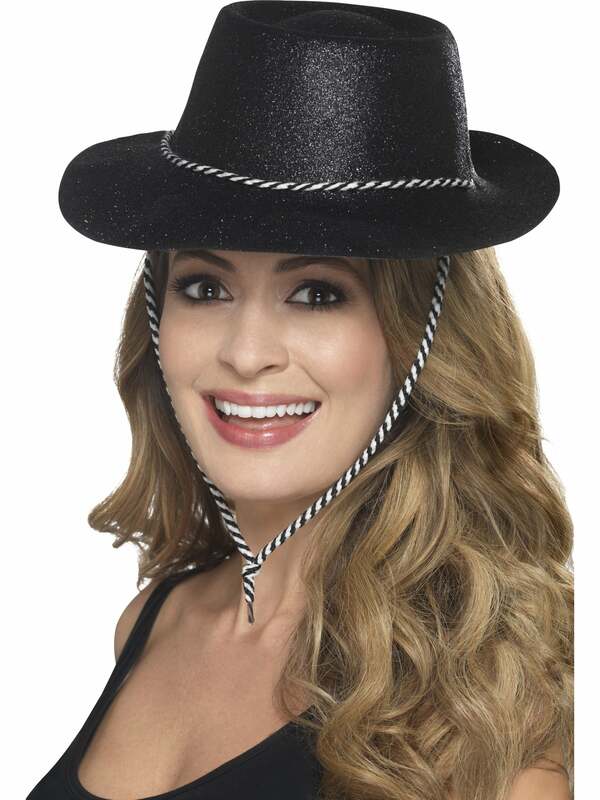 This glittery cowboy/cowgirl hat is light and flexible with a striped cord to pop under your chin. A fun way to jazz up a normal plain cowgirl outfit. Fab for a last minute costume idea- just put on a chequered shirt and some demin shorts and you are good to go!